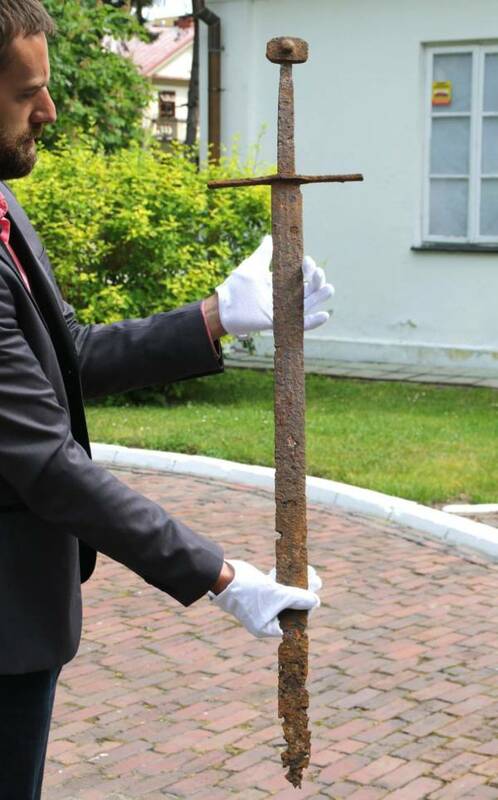 A construction worker recently stumbled across an incredibly well-preserved 600-year-old sword in a Polish swamp. 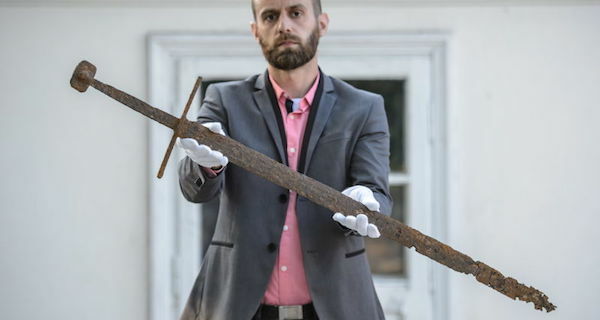 The four-foot sword likely weighed about three pounds when it was first made, museum researchers say. They’re unsure who the item actually belonged to, but an isosceles cross on the handle was likely a kind of signature for the blacksmith. “It’s kind of a medieval company name,” Bartłomiej Bartecki, the museum’s director, explained. The region in question was taken over by Poland in 1366 and, a few decades later, a castle was built by a Polish governor. Many knights were employed to protect the castle, so it’s likely more items can be found nearby. “It is worth pointing out that, while there are similar artifacts in museum collections, their places of discovery is often unknown, and that is very important information for historians and archaeologists,” Bartecki said. Now, a team of archaeologists will explore the location (which isn’t being disclosed for fear of looters). They’re hoping to find more belongings that could be clues to the identity of this clumsy knight. No bones so far, which rules out their early theory that the knight had fallen in. Next, take an inside look at seppuku, the ancient samurai suicide ritual. 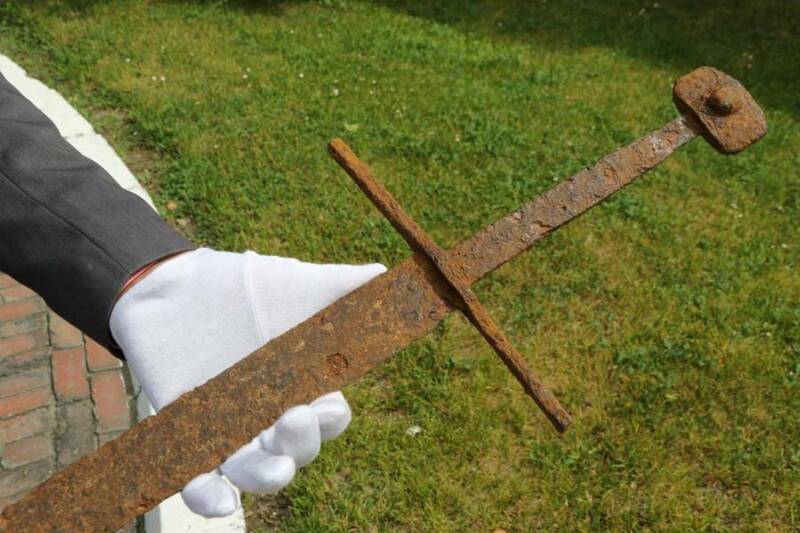 Then, check out 21 of the world’s most bizarre weapons.